Introducing ZenKraft's A5 X-Treme Quad-Fold Pro Notebook System. Constructed from distressed brown leather, and made for the Power Notebook User, this notebook is a portable desk rolled in one unit. Holding four different size inserts, Field Notes, A5, Reporter and A6 comfortably, the Quad-Fold Pro also has four pockets, three Tech and one Utility Pocket, allowing the user to carry needed items for a routine day at work. This is the A5 X-Treme Quad-Fold Pro Notebook system from ZenKraft, enjoy! Introducing ZenKraft's Rogue River Fishing Log! 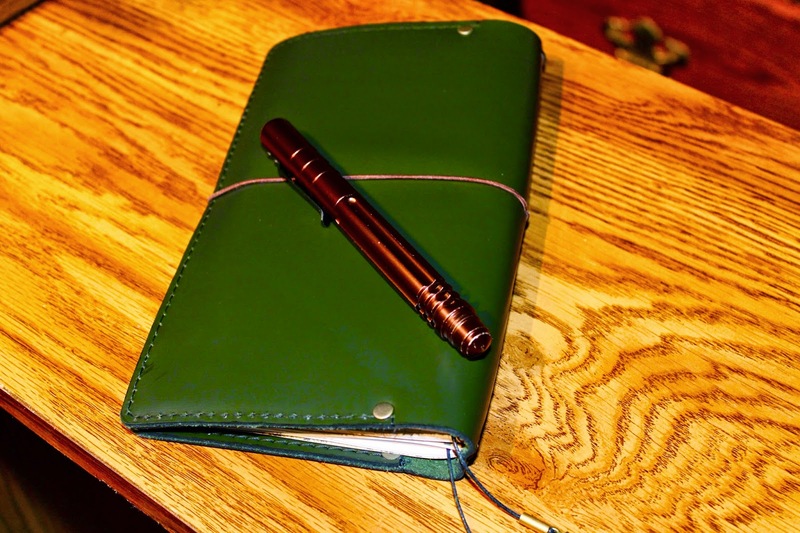 Constructed from 5.5oz oil tanned Army Drab colored leather, this is a notebook both Fisherman and those who need a rugged, durable journal will enjoy using. It has a semi-stiff temper, and the capacity to hold 4 to 6 regular size inserts comfortably, plus any loose items in its two tech pockets. This is one for the Outdoors person who loves to scribe about their experiences in the moment! 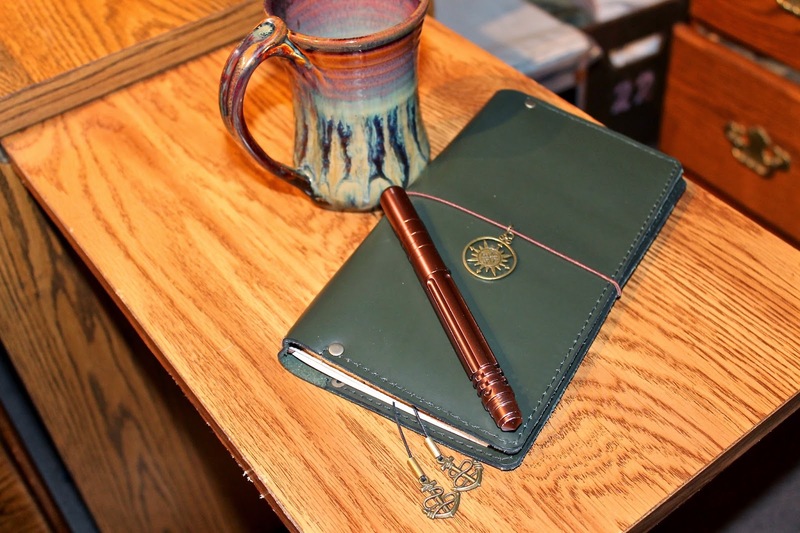 Its the Rogue River Fishing Log, from ZenKraft! Enjoy! Introducing ZenKraft's Globe Trekker Travel Log. 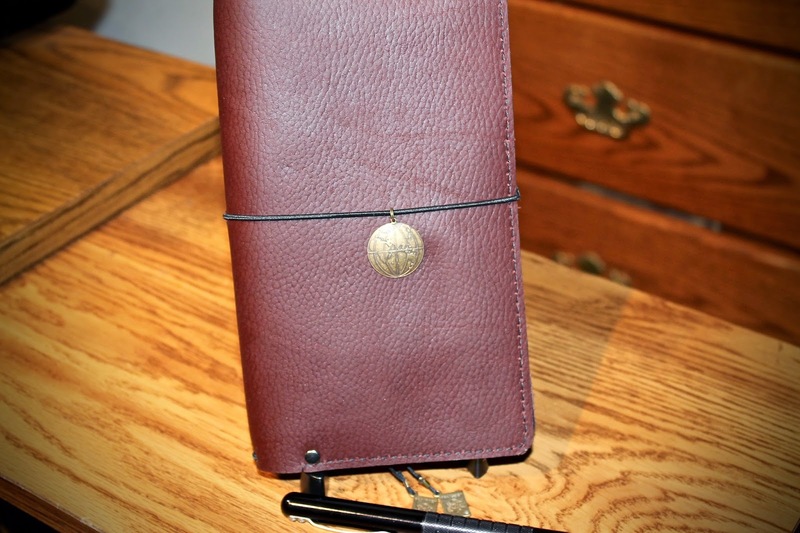 This is a beautiful burgundy oil tanned leather notebook, that has the capacity to hold six regular size inserts comfortably. It has a pebble grain texture, a semi-stiff temper, and the ability to be tossed around and handled during those harrowing adventures, whether local or abroad. 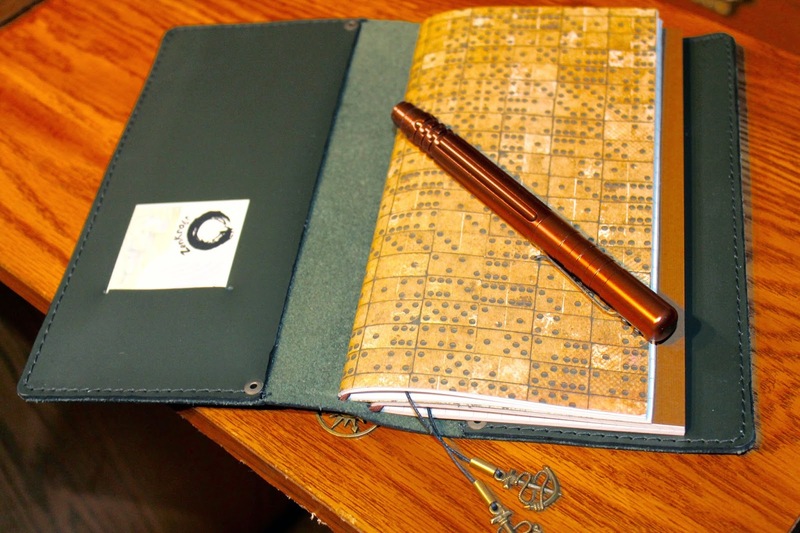 A true go-to notebook, its the Globe Trekker Travel Log, from ZenKraft! 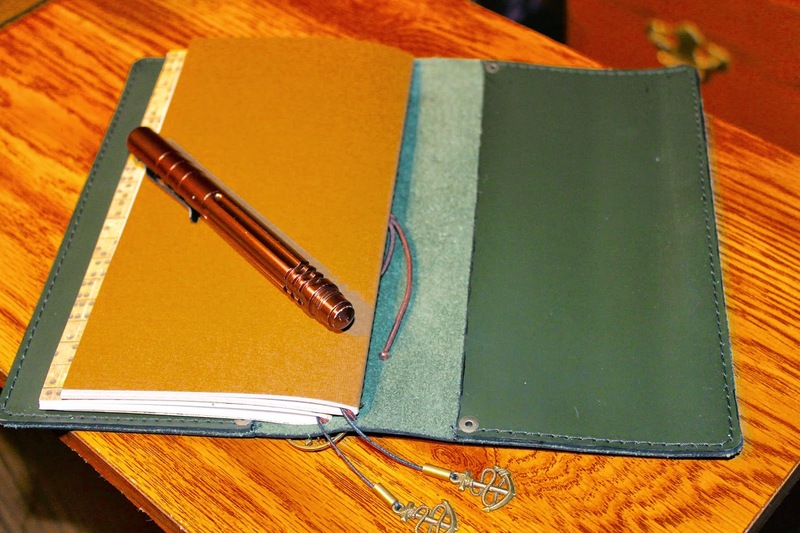 ***SOLD OUT***Introducing ZenKraft's Sahara OM Bi-Fold Notebook. This is a sample creation constructed from Camel colored Pullup Leather, which has a semi-soft medium temper, with a shearling leather feel when held in hand. Twin Tech pockets allow ease of use, holding small gadgets without issue. 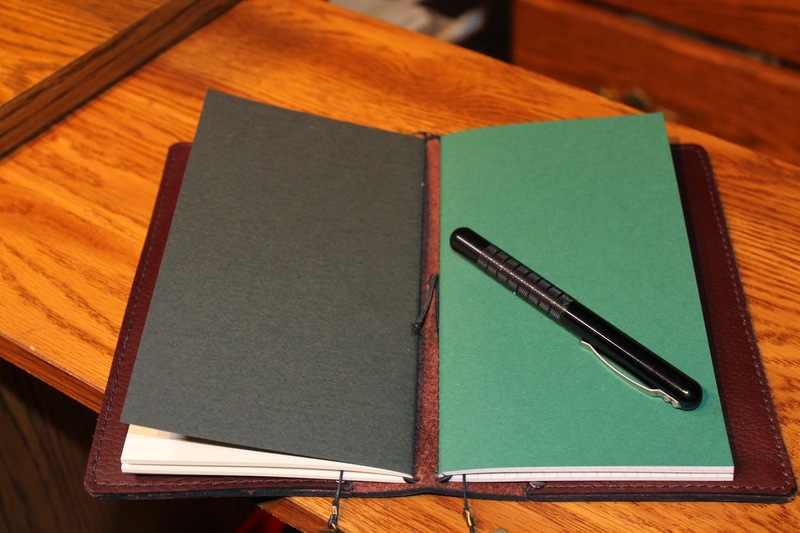 Wide enough to hold 4 to 6 regular size inserts, this notebook has much potential. At the moment, its a one of a kind, and I hope to find more of this gorgeous leather soon. 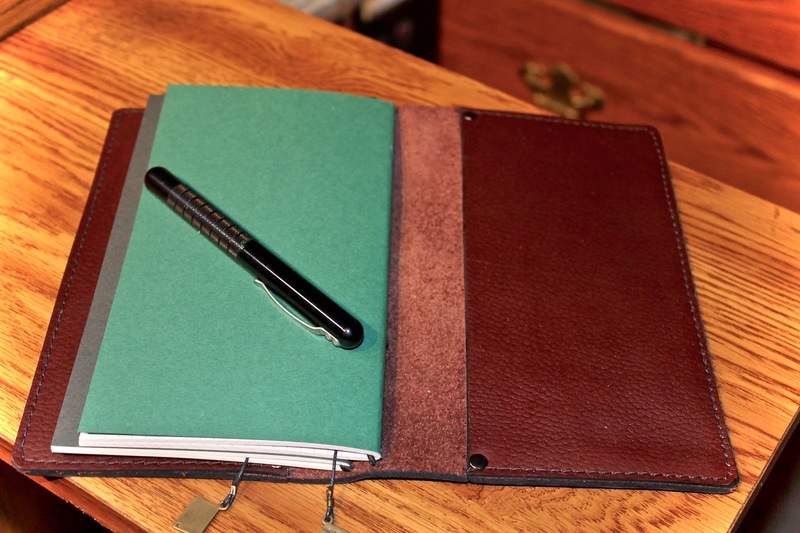 It's the Sahara OM Bi-Fold Notebook, from ZenKraft, enjoy! yehudahlightworker@gmail.com if interested, I'll put you on the list to notify when I get more, thanks! Introducing ZenKraft's Midnight Blue Bi-Fold. Constructed from 6oz. Chromexcel Leather, it has a semi-stiff medium temper. This is a rugged, durable, yet gorgeous piece that can hold 6 inserts comfortably. Twin Tech pockets can hold cell phones and other small devices as needed. Black rivets are both practical and stylish. Its the Midnight Blue Bi-Fold, from ZenKraft, enjoy! ***SOLDOUT***Introducing ZenKraft's Blue Angel Cahier Lg. Bi-Fold. Constructed from 30% veg. 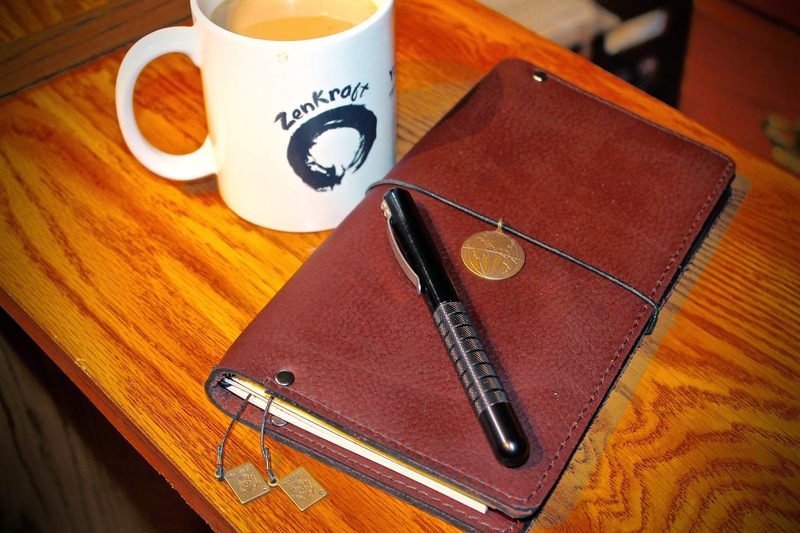 tanned and 70% oil tanned leather, this notebook has a semi-stiff temper and makes for a durable EDC notebook. Able to hold 4 to 6 large Cahier inserts, with two Tech pockets, it is definitely a go-to notebook that can be used on a daily basis without issue. Its the Blue Angel Cahier Lg. Bi-Fold, available April 15th, from ....ZenKraft! 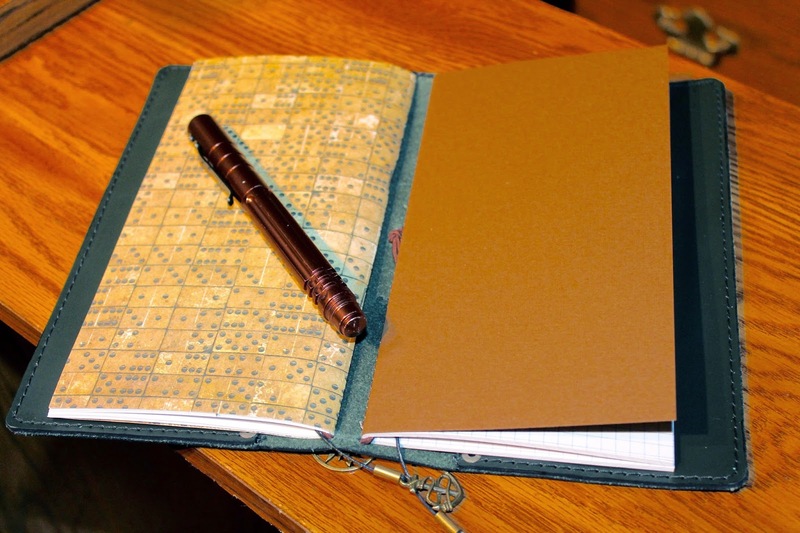 Introducing ZenKraft's A5 X-Treme Quad-Fold distressed brown notebook. 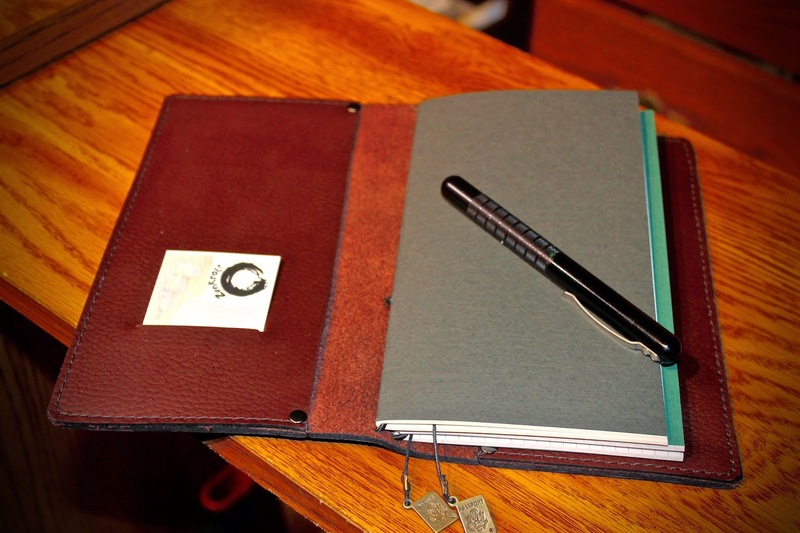 At 34.25", this is the widest notebook to date made by ZenKraft. A virtual portable desk, this notebook holds eight A5, and one Field Notes insert comfortably. Made for the Power Notebook User, the A5 X-Treme Quad-Fold brings together most of your work in one notebook system. 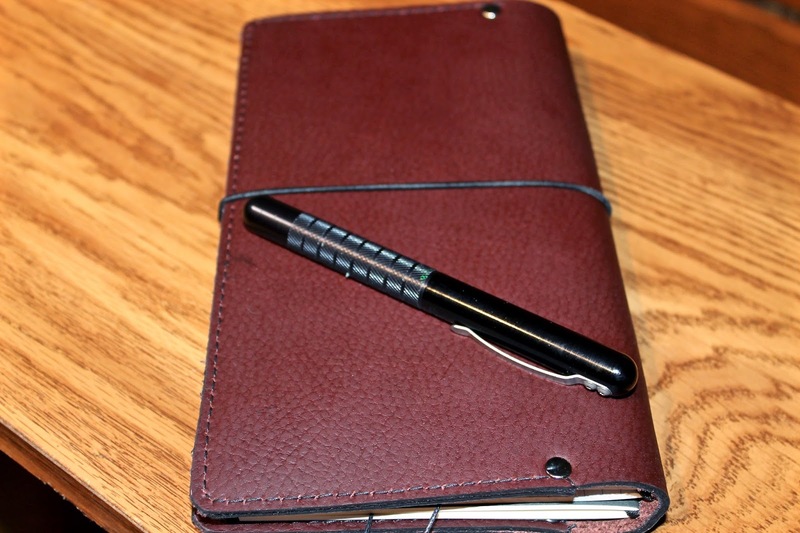 Utility pockets hold pens, rulers, and other small items as required. Two Tech Pockets hold E-Rreaders, Cell Phones and other Tech devices as needed. Its the A5 X-Treme Quad-Fold, by ZenKraft! ***SOLD OUT***Introducing ZenKraft's Oregon Trail Logbook A6 Edition. 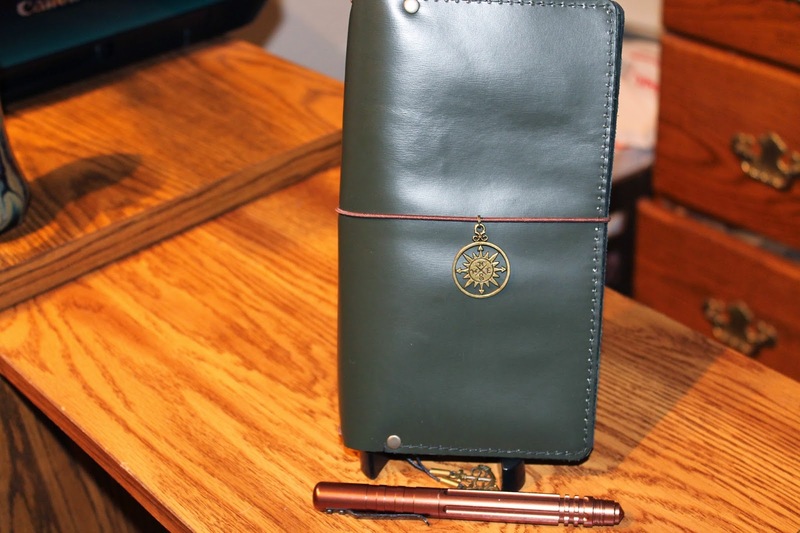 This stunning notebook is perfect for carrying on any hike, even long, enduring ones like the Oregon Trail or the brutal Pacific Crest Trail. It easily stows away in a backpack or EDC Bag, and holds 4 to 6 A6 size inserts comfortably. Constructed from durable, yet beautiful part veg. tanned, part oil tanned brown sturdy cowhide, the Oregon Trail Logbook A6 Edition is up for the journey! ***SOLD OUT***Introducing ZenKraft's LIMITED EDITION Baby Blue Bi-Fold. This is a regular size Bi-Fold, constructed from semi-soft, pliable blue leather, complete with two tech pockets, and a 2" center spine sewn in for additional reinforcement. The Baby Blue Bi-Fold hold 4 to 6 inserts comfortably, plus small tech items in its side pockets. Available April 15th, this limited edition notebook won't be around long, its the Baby Blue Bi-Fold, from ZenKraft! yehudahlightworker@gmail.com if interested, this is a limited edition notebook, thank you!